The primary goal is to improve the overall energy “envelope” of your home which includes reducing energy waste, comfort, and healthy ventilation in cost effective way. The following recommendations represent both “cutting edge” building science materials and techniques and also simple, “tried and true”, common sense improvements that will make a big difference in how your home feels and performs. The recommendations we make are prioritized with the concept of a “payback” in mind. Payback is an estimate of how long it will take to save enough energy to pay for the cost of a conservation measure. We believe that it is important to calculate the payback in order to help prioritize your upgrades to achieve the best return on your investment. 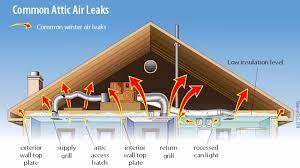 Therefore, sealing up air leaks and duct-sealing are low cost measures and usually come in first place for payback. It is also important to replace only the systems and appliances that are failing or faulty for an effective payback. The first step in a home performance analysis is determining the boundary between the heated and unheated space or the “envelope” of the house. You can save up to 20% on heating and cooling costs (and up to 10% on your total energy bill) by sealing and insulating your house envelope. It will also make your home more comfortable and help your heating and cooling system run more efficiently. Description: We often think of insulation as the primary means to create an energy efficient building enclosure. However, like a sweater with a windbreaker, insulation must work with an air barrier to be effective. The air barrier of most homes is riddled with small holes all throughout the house. Common places for air leakage occurs in heating ducts, water pipes, sewer stacks, wiring, lighting fixtures, electrical switches and outlets, chimneys, ventilation fans, attic hatches and pet doors. Through these air leaks, cold air from the outside enters the home and warm air from the inside escapes. Since warm air rises, a heated home in the winter acts like a big chimney. As the warm air rises and escapes through ceiling penetrations, cold air is pulled in from the basement, garage, or crawl space. The cold air can bring dust or pollutants with it, as well as make homes more dry. This occurs when moisture escapes with warm air and the cold air in lowers the humidity of the space. Air leakage can be responsible for up to 1/3 of the heating cost, so it’s a good investment to tighten up your home. Sealing air leaks will enhance the performance of your insulation as well. What We Do: Smart Space will use diagnostic equipment to locate the air leaks in your home and seal them for you. During the home performance analysis, the homeowner will have the opportunity to see first hand the leaks with a smoke sticks while the blower door is running (see blower door for more information…). A lot of companies will offer very cheap prices to quickly blow in insulation into your attic without properly air sealing or protecting your lower vents could potentially cause moisture and heat problems. Your attic needs a Net Free Ventilating Area ratio of 1/150 square feet with 60% near soffit vents and 1/300 square feet with 40% near roofline. It is also important to protect with fire rated materials older can or recessed lights that are not IRC rated, flue pipes, and working chimneys. For example, we always seal flue pipes with metal flashing and fire rated caulk before blowing in insulation. Description: Sealing and insulating your home is one of the most cost-effective ways to make a home more comfortable and energy efficient. Insulation products are rated by their resistance to heat flow, called R-value. The higher the number, the more effective the insulation and lower your energy bills. Most homes in the U.S. built before the 1970’s are poorly insulated, if at all. Modern energy codes require minimum levels of insulation. For example, for most attics the recommended R-value to effectively insulate is R-38 or 10 to 14 inches deep depending on insulation type. What We Do: Smart Space through the Home Performance Analysis will determine the levels and effectiveness of the insulation throughout your home. Based on your needs and budget, we will make recommendations for the amount and type of insulation and then install it for you. We add insulation to all areas of the envelope between heated and unheated areas (walls, attics, unheated basements, crawl spaces etc). We are also careful to ensure that there is proper ventilation in the attic to ensure there are no moisture problems by checking the attic soffit and rafter vents and exhaust fans for effectiveness and that all fire hazards are mitigated around can lights etc. Below is a brief description of each type of insulation product we offer: Fiberglass Batt- The most common in homes. 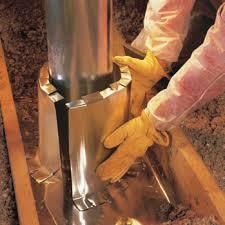 It is installed in open wall, floor, or ceiling cavities. We are careful to install it avoiding gaps, voids or compressions which will decrease it’s overall effectiveness. Cellulose or Fiberglass Loose fill- A blowing machine is used by our experienced contractors to blow in walls or on top of other types of installation to facilitate a effective and even cover. High Density Spray Foam-At first we embraced spray foam as a company because it is an excellent air barrier and insulator until a former customer asked if it was healthy to breathe once applied. I could not answer honestly, so I did some research and found that the EPA and CDC are concerned about two chemical components in spray foam causing asthma in some exposed workers and home owners. The EPA is calling for more research to be done. Until more research is done, we are no longer installing spray foam in homes. We are keeping an eye on soy based spray foams and will install this once the two chemicals that are causing health problems have been removed (currently they have not been removed).We also feel that your money is better spent air sealing the attic thoroughly and blowing in insulation to the recommended R-38 levels. Spray foam is costly and hard to remove if a problem arises and the money could be applied in other areas of the home to improve efficiency. Description: HVAC systems typically need to be replaced every 12-15 years. The efficiency and effectiveness of the HVAC system is determined by duct leakage and flow, duct sizing, equipment efficiency, filtration, refrigerant charge, system location, and total static pressure (pressure entire system experiences as a whole). What We Do: Our Smart Space licensed HVAC contractor will install and regularly maintain a new HVAC system for you. During the Home Performance Analysis, we inspect the combustible furnace for gas leaks and other safety issues. One common problem is that systems are oversized for there space which causes it to “short cycle” and does not run properly. Our contractors use an industry wide recognized process referred to as Manuel J in which the heating and cooling equipment is sized based on building loads, orientation, design conditions, construction materials, infiltration, internal loads, and ventilation. Another common issue is the refrigerant charge. The DOE performed a study on the refrigerant charges of HVAC systems and determined that 33% are overcharged and 41% are undercharged which affects capacity, longevity, and efficiency. Therefore, Smart Space licensed HVAC technicians perform load calculations though a Manuel J after a home has been properly air sealed and insulated to ensure that a proposed HVAC system upgrade is sized correctly. 2) Ducts vs energy efficient furnaces and air conditioners: It is also common to see customers have high efficiency furnaces and air conditioners, and a DISCONNECTED duct laying on the crawl space floor or just very leaky ducts. Your HVAC system is only efficient as your ducts no matter what you spend on the units. Your money will be better spent by first focusing on your ducts then the units. 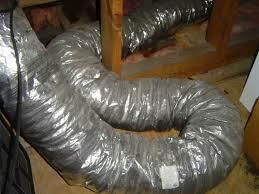 Description: The duct system is an important part of the efficiency of your home. The job of the duct system is to deliver the correct amount of CFM’s heating and cooling loads at varied levels tailored for the specific size of each room. They also allow the air handlers units to operate within the manufacturer’s specifications and balance air pressure throughout your home. Finally, the duct system controls noise levels. 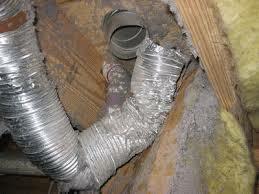 Ducts are often leaky, poorly insulated, and poorly designed. What We Do: Through the Smart Space Home Performance Analysis, your ducts will be thoroughly inspected and measured for leakiness. Our contractors will then properly seal and insulate the duct system. Duct should also be designed to be as straight, level, and short as possibly to efficiently carry heat and cool air throughout the house. Especially in older homes, the duct system is often designed as a afterthought and the design is a curvy, tangled, inefficient mess. We recommend to homeowners always as a first step to tighten and seal the existing ducts to give an effective payback on heating and cooling bills. 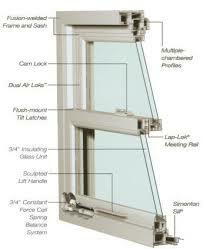 Make sure the space between the window frame and rough opening is insulated during installation. Choose window treatments that allow air flow over the window surface. Manage indoor humidity. Vent dryers directly outside. Make sure kitchen and bath fans vent directly outside. Use fans during showers or when cooking, and leave them running for 20 minutes after you’re done. Description: Electricity can be converted directly from solar energy through solar cells known as photovoltaic cells—”photo” (for light) and “voltaic” (for energy). Individual cells are the building blocks for PV modules, which combine to form what’s commonly referred to as a PV array. Normally mounted on a rooftop or in a location for maximum sun exposure, the PV array components convert that energy into electric current to power appliances and other household devices.Once installed, a PV system requires little maintenance and can produce power for more than 20 years. Heating water using electricity typically may make up 14–25% of the average home’s utility bill. A residential solar water heating system can be designed to meet between 50 and 80% of a home’s water heating requirements.If you’ve ever seen tea brewed outside on a hot summer day, you’ve witnessed the principle behind solar thermal technology. The sun’s energy radiates to the earth and is captured in a jar of water. The water is warmed by this captured energy, and brews the tea.In the same manner, solar thermal energy can be used to heat water for household use.A solar water heating system requires collectors to absorb the sun’s energy and a storage system to hold the energy until it is needed—like the water jar. The solar energy collectors are large, flat panels that are most frequently mounted on the roof of a home or building. The systems used to store thermal energy are similar to conventional water heaters. The heated water is circulated through the home or building using pumps. What We Do: Smart Space will install both your solar panels and solar hot water heaters in conjunction with a whole house analysis approach to ensure that you maximize the benefits of the solar energy with an air sealed and insulated house. Rebates and tax credits: Georgia Power offers a $250 rebate for qualifying solar water heaters. Credits for approved solar installations: If you install Energy Star-approved solar-power systems before the end of 2016, you can claim 30 percent of the cost as a tax credit for the year you installed it. As a credit, you take the amount directly off your tax payment, rather than as a deduction from your taxable income. You can claim the credit for your primary residence, a vacation home, and for either an existing structure or new construction. Other than the cost of the system, there’s no limit to the dollar amount of the credit. Claiming solar credits for rental property: You can not claim a credit for installing solar power at rental properties you own. The exception is if you also live in the house for part of the year, and use it as a rental when you’re away. You’ll have to reduce the credit for a vacation home, rental or otherwise, to reflect the time you’re not there. If you live there for three months a year, for instance, you can only claim 25 percent of the credit: If the system cost $10,000, the 30 percent credit would be $3,000, and you could claim a quarter of that, or $750. Filing requirements for solar credits: To claim the credit, you must file IRS Form 5695 as part of your tax return; you calculate the credit on the form, and then enter the result on your 1040.If you end up with a bigger credit than you have income tax due — a $3,000 credit on a $2,500 tax bill, for instance — you can’t use the credit to get money back from the IRS. Instead, you can carry the credit over to the following tax year. Energy Star states that you should be able to carry the credit over as far as 2016 if need be. Incentives Available in Georgia: Incentives in the form of federal and state tax credits, accelerated depreciation and low interest financing may be available. The current federal business investment tax credit is 30 percent for solar energy equipment placed in service before January 1, 2017, after which the credit becomes 10 percent. The federal incentive was also available as a cash grant in lieu of tax credit if construction of the project began prior to January 1, 2012 and certain other conditions were met. A 30 percent residential energy tax credit is also available for solar electric and solar water heating equipment placed in service on a residence before January 1, 2017. Georgia’s Tax Credit for Clean Energy Property provides up to a 35 percent state income tax credit (spread over four years) for the purchase of solar electric and solar water heating property for businesses and residences. This tax incentive is available to applicants until January 1, 2015 on a first come, first served basis, is capped at different dollar amounts for business or residential installations and has an annual statewide cap of $5,000,000. You can also visit the Database of State Incentives for Renewables and Efficiency (DSIRE) web site to view current state and federal incentives available. Please consult your tax advisor to determine how these federal and state incentives may apply to your particular circumstances. Check out information on solar thermal energy on the US Department of Energy Energy Savers site. Description: The EPA promotes crawl space encapsulation. Crawl spaces and basements can become moisture laden, supporting the growth of mold and the decay of building materials and providing ideal conditions for insect pests and even rodents. Moisture and contaminants can be driven into living spaces by the differences in air pressure between the crawl space/basement and the living spaces above. This exchange can be much greater when forced-air heating and air-conditioning equipment is located in basements and crawl spaces; the strong system airflows can pick up pollutants through any leak in the equipment, plenums or ductwork and quickly disperse them throughout the home. Building codes traditionally have required the passive venting of crawl spaces to the outdoors, with the vent sizing dependent on the floor area of the crawl space and whether a vapor retarder such as polyethylene was present to reduce moisture entering the crawl space from the soil. 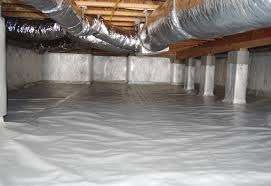 However, research has shown that ventilating air entering the crawlspace from outdoors during warm, humid seasons wets rather than dries crawl spaces even if effective drainage and dampproofing systems are installed to keep liquid water out and a vapor retarder is in place on the earth floor. However, conditioned crawl spaces have been shown to provide better moisture control, and they are more energy efficient. The International Residential Code (2009) provides for un-vented crawl spaces (R408.3). Most molds require a surface moisture or humidity level of 70% to 90% to start growth. At least a string reinforced 10mil or more vapor barrier (we prefer to install a Class A string reinforced 15 mil vapor barrier) and should overlap 6 inches. The vapor barrier should be installed at least 6 inches up the walls and be nailed to ensure that it will stay for the duration. If there is a gas appliance such as a hot water heater or furnace in the crawl and it is not a sealed combustion model then it is important for the contractor to calculate if make-up air is necessary. After the vapor barrier is installed it will maintain a more consistent humidity level between 50-60%. It is then important to install a dehumidifier with a condensate pump and line to the outside with humidistat that will only need to kick on after rain or occasionally during the summer. Floor drains leading to daylight outdoors or to a sump pit. In warmer weather, a sealed crawl space prevents warm air from entering through wall vents and condensing on surfaces cooled by the ground temperature inside the crawl space. Sealing also produces energy savings by preventing the loss of dryer conditioned air (or during winter months, warmer conditioned air) that has been supplied to the space. What We Do: As a part of a Whole House analysis, Smart Space using the best materials will encapsulate your crawl space and guarantee customer satisfaction. Description: When a residential home is well insulated and sealed it is important to calculate whether mechanical ventilation is necessary for indoor air quality. This is part of the BPI home performance audit performed by Smart Space. The American Society of Heating, Refrigeration and Air-Conditioning Engineering, or ASHRAE at www.ashrae.org provides procedures for determining whole-house ventilation rates in its Standard 62.2, “Ventilation and Acceptable Indoor Air Quality in Low-Rise Residential Buildings”. The standard also provides requirements for exhaust ventilation for kitchens, bathrooms, and other point sources, such as clothes dryers and venting for fuel-burning appliances. 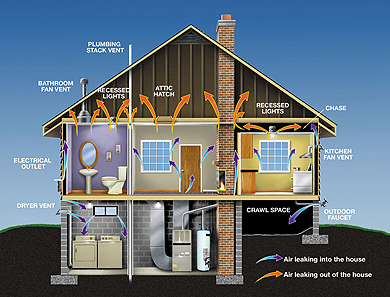 What We Do: Smart Space will determine if your house needs mechanical ventilation based on the above standards set forth by ASHRAE and install the system with our licensed trained technicians. Description: We include hardy plank exterior siding products in our list of products and services because of the durability and reduction in maintenance such as painting. James Hardie siding and trim products provide durable, impact resistant protection, are compatible with advanced framing techniques, may be installed directly to rigid foam insulation panels, are resistant to flame spread and approved for fire rated and wall assemblies. What We Do: Smart Space guarantees 100% satisfaction with the installation of all Hardie products on your home. Description: As its name suggests, a tankless water heater removes the need for a bulking tank in the garage or closet. A tankless water heater is much smaller and mounts on the wall, operating within a home’s plumbing lines. Tankless water heaters heat up the water only when it is time to use it. The water is heated very quickly and stops being heated when the demand of the faucet ceases. By heating the water so quickly, less water is wasted. Using less water saves energy costs. However, unless a homeowner plans to stay in the home for an extended amount of time, the initial investment for a new water heater may not be paid back in water savings. Depending on the size of the home, multiple tankless water heater units may be required. Whole-home units are available, but they may not meet everyone’s particular needs for hot water. Tankless water heaters use less energy to operate than standard water heaters. Nearly all tankless water heaters have favorable Energy Star ratings. What We Do: Smart Space’s licensed plumbers guarantees 100% satisfaction in the installation of Energy Star Tankless Water heaters. Description: Conventional storage tanks, due to their continual heating of water, generate the most standby heat loss, resulting in low efficiency ratings and wasted energy. Insulating both the tank and the surrounding hot water pipes will increase the efficiency of the system. An insulating blanket can reduce standby heat loss by 25-40%, resulting in a 4-9% savings on your energy bill. A blanket’s cost ranges from only $10-20 and is generally easy to install. Insulating blankets are available for conventional fuel-fired storage tanks, indirect system storage tanks, and electric storage hot water heaters. A blanket installed on an electric water heater will pay for itself in just one year. Water heater manufacturers do not recommend insulating new water heaters with higher energy factors. These newer models already have a sufficient level of jacket insulation. What We Do: Smart Space contractors will insulate your tank and pipes typically as a part of an air sealing and insulating work scopes. If you choose to do this yourself be cautious when insulating any type of gas-fired water heater. 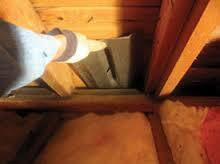 Added insulation should not be placed on the top near the exhaust vent or over any air intakes at the bottom. Description: Passive harvesting systems (e.g. rain barrels) are typically small volume (50-100 gallon) systems designed to capture rooftop runoff. Rain barrels are commonly used in residential applications where flow from rain gutter downspouts is easily captured for outdoor uses such as garden and landscape irrigation or car washing. Due to their smaller sizes and ease of siting, passive systems are generally installed at grade, making impact from sunlight on the stored water a consideration. Direct and indirect sunlight will act as a catalyst for algae growth in the cistern, so exposure to sunlight should be limited where possible. Most above-ground cisterns are available in opaque colors or made from opaque materials, and are recommended. Cisterns made of translucent materials such as light colored plastics should be avoided. Water is extracted from the rain barrels through a spigot typically with no connections to internal or external plumbing. Due to the small volumes and and lack of additional treatment, the water collected in the rain barrel is not used indoors (even for non-potable reasons and most state and local regulations require clear markings indicating that the water is non-potable. In addition, rain barrels are generally required to be screened to prevent vectors from breeding and secured to avoid creating a drowning hazard. Passive systems are typically designed with an overflow to ground surface or the existing storm water collection system. What We Do: Smart Space Contractors install gutters and rain barrels for use in outside yards. Description: This is the one product and service that is not directly related to our “whole house” approach to energy efficiency but it definitely falls in line with our mission to assist in reducing the carbon foot print of Metro Atlanta. Backyard chicken that eat table scraps and provide eggs and fertilizer to a homeowner use less fossil fuels in production and transportation. What We Do: Smart Space Atlanta will design and install an affordable, custom chicken coop and ensure 100% customer satisfaction. According to the US EPA, nearly 1 in 3 homes checked in seven states and on three Indian lands had screening levels over 4 pCi/L, the EPA’s recommended action level for radon exposure. The alpha radiation emitted by radon is the same alpha radiation emitted by other alpha generating radiation sources such as plutonium. Most U.S. EPA lifetime safety standards for carcinogens are established based on a 1 in 100,000 risk of death. Most scientists agree that the risk of death for radon at 4 pCi/l is approximately 1 in 100. At the 4 pCi/l EPA action guideline level, radon carries approximately 1000 times the risk of death as any other EPA carcinogen. It is important to note that the action level is not a safe level, as there are no “safe” levels of radon gas. What is radon? Radon is a cancer-causing radioactive gas. You cannot see, smell or taste radon, but it may be a problem in your home. The Surgeon General has warned that radon is the second leading cause of lung cancer in the United States today. If you smoke and your home has high radon levels, you’re at high risk for developing lung cancer. Some scientific studies of radon exposure indicate that children may be more sensitive to radon. This may be due to their higher respiration rate and their rapidly dividing cells, which may be more vulnerable to radiation damage. PROPERTIES: Radon is a gaseous highly radioactive element discovered by English physicist Ernest Rutherford in 1899. The discovery is also credited to German physicist Friedrich Ernst Dorn in 1900. More specifically, Rutherford discovered radon’s alpha radiation and Dorn discovered that radium was releasing a gas. Radon is a colorless chemically-unreactive inert gas. The atomic radius is 1.34 angstroms and it is the heaviest known gas–radon is nine times denser than air. Because it is a single atom gas (unlike oxygen, O2, which is comprised of two atoms) it easily penetrates many common materials like paper, leather, low density plastic (like plastic bags, etc.) most paints, and building materials like gypsum board (sheet rock), concrete block, mortar, sheathing paper (tar paper), wood paneling, and most insulation. Radon is also fairly soluble in water and organic solvents. Although reaction with other compounds is comparatively rare, it is not completely inert and forms stable molecules with highly electronegative materials. Radon is considered a noble gas that occurs in several isotopic forms. Only two are found in significant concentrations in the human environment: radon-222, and radon-220. Radon-222 is a member of the radioactive decay chain of uranium-238. Radon-220 is formed in the decay chain of thorium-232. Radon-222 decays in a sequence of radionuclides called radon decay products, radon daughters, or radon progeny. It is radon-222 that most readily occurs in the environment. Atmospheric releases of radon-222 results in the formation of decay products that are radioisotopes of heavy metals (polonium, lead, bismuth) and rapidly attach to other airborne materials such as dust and other materials facilitating inhalation. USE: Radon has been used in some spas for presumed medical effects. In addition, radon is used to initiate and influence chemical reactions and as a surface label in the study of surface reactions. It has been obtained by pumping the gases off of a solution of a radium salt, sparking the gas mixture to combine the hydrogen and oxygen, removing the water and carbon dioxide by adsorption, and freezing out the radon. PRODUCTION: Radon is not produced as a commercial product. Radon is a naturally occurring radioactive gas and comes from the natural breakdown (radioactive decay) of uranium. It is usually found in igneous rock and soil, but in some cases, well water may also be a source of radon. EXPOSURE: The primary routes of potential human exposure to radon are inhalation and ingestion. Radon in the ground, groundwater, or building materials enters working and living spaces and disintegrates into its decay products. Although high concentrations of radon in groundwater may contribute to radon exposure through ingestion, the inhalation of radon released from water is usually more important. Should you test for radon? Testing is the only way to know your home’s radon levels. There are no immediate symptoms that will alert you to the presence of radon. It typically takes years of exposure before any problems surface. The US EPA, Surgeon General, American Lung Association, American Medical Association, and National Safety Council recommend testing your home for radon because testing is the only way to know your home’s radon levels. There are no immediate symptoms that will alert you to the presence of radon. It typically takes years of exposure before any problems surface. Radon is a national environmental health problem. Elevated radon levels have been discovered in every state. The US EPA estimates that as many as 8 million homes throughout the country have elevated levels of radon. Current state surveys show that 1 home in 5 has elevated radon levels. What We Do: Smart Space will give you a free estimate to mitigate the radon in your home. We guarantee that we will bring down the radon levels to below the EPA recommendation of 4 pCi/l. We are certified with ARST-NRPP the National Radon Proficiency Program. To be considered Low-VOC, the paint should consist of <50 grams per liter (g/l) of VOC. To be considered Zero-VOC, the paint should consist of <5 g/l of VOC. Solid content usually ranges from 25-45%, higher solid percentages ensures less VOC’s. What We Do: Smart Space contractors will paint the interior of your home only using low VOC paint and guarantee 100% customer satisfaction. We’ve invested in technology - to close the loop on raw material extraction for the production of new carpet tiles, through our recycling program ReEntry™. Mohawk: From discarded plastic bottles and old tires to animal fat and wood, the recycled materials that enter Mohawk facilities are quickly transformed into alternative energy sources, carpet cores, and beautiful flooring. Mohawk diverts three billion pounds of waste from landfills every year. To reduce new landfill content, they constantly seek new ways to reuse and recycle process waste. More than 500 Mohawk products—including residential and commercial carpet, carpet tiles, cushion, laminate, and ceramic tile—contain recycled materials. Mohawk operates the world’s largest integrated plastic bottle recycling facility, open since 1999 and located in Summerville, Georgia. To envision the number of bottles we recycle annually, imagine millions of 20-oz. plastic soda bottles—each bottle about nine inches tall—stacked end to end until the height is approximately the same as 6,926 Empire State Buildings piled on top of each other. That’s a lot of bottles! When recycled, they can be converted into polyethylene terephthalate (PET) carpet fiber.The state-of-the-art process sorts the plastic bottles, chops up the plastic into little chips, vigorously cleans the chips and then melts them into polyester resin. The fiber is cut and shipped to Mohawk carpet manufacturing facilities to make carpet sold as part of the Mohawk EverStrand collection. The face fiber of EverStrand carpet is made of 100 percent post–consumer content.The best plastic bottles for making carpet have a “1″ or “PET” symbol on the bottom. Every time you recycle these bottles, you’re helping us make beautiful carpet AND a beautiful world. Mohawk also began reusing hundreds of thousands of used rubber tires in 1999 and turning them into designer door mats. Since then, the amount has picked up steadily and Mohawk has become the leading tire recycler in the flooring industry, converting millions of pounds of tires into welcome mats each year. What We Do: Smart Space will install environmentally friendly carpets in your home and guarantee 100% customer satisfaction. Certification -Wood that is labeled as sustainably harvested should carry a well-known certification. Sealing and coating chemicals -Avoid flooring coated or sealed with a formaldehyde-based chemicals, which emit VOCs, or polyurethane, which contains a class of chemicals that cause or aggravate asthma (diisocyanates). And ask the retailer or supplier how they assess the validity of formaldehyde-free claims. Shipping distance -A long shipping distance reduces the environmental attributes of flooring due to transportation energy use and GHG emissions, especially for heavy materials such as flooring. Maintenance -Consider maintenance issues when selecting your flooring materials, and avoid options that require frequent maintenance or harsh chemicals for cleaning or waxing. A special note about bamboo: Bamboo is currently very popular because of its aesthetics and its green reputation, which is based on the fact that bamboo is fast-growing and bamboo harvesting does not destroy the bamboo root system. However, much bamboo is imported and has a long shipping distance. Due to the popularity of bamboo, it is increasingly displacing forested areas. In addition, bamboo strips are commonly sealed with formaldehyde-based chemicals. Finally, bamboo lacks the certification systems established for wood flooring. Thus, although some bamboo may be truly “green,” homeowners need to investigate the source of bamboo and make their own assessment about the bamboo’s attributes relative to alternatives. What We Do: Smart Space will install sustainable flooring (sustainably harvested or reclaimed) in your home and guarantee 100% customer satisfaction. 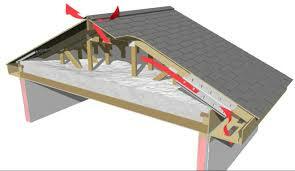 Description: We often think of insulation as the primary means to create an energy efficient building enclosure. However, like a sweater with a windbreaker, insulation must work with an air barrier to be effective. The air barrier of most homes is riddled with small holes all throughout the house. Common places for air leakage in the living space are heating ducts, water pipes, sewer stacks, wiring, lighting fixtures, electrical switches and outlets, chimneys, ventilation fans, attic hatches and pet doors. 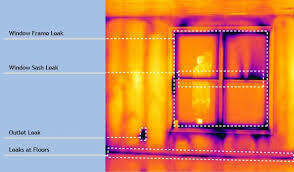 Through these air leaks, cold air from the outside enters the home and warm air from the inside escapes. Since warm air rises, a heated home in the winter acts like a big chimney. As the warm air rises and escapes through ceiling penetrations, cold air is pulled in from the basement, garage, or crawl space. The cold air can bring dust or pollutants with it, as well as make homes more dry. This occurs when moisture escapes with warm air and the cold air in lowers the humidity of the space. Air leakage can be responsible for up to 1/3 of the heating cost, so it’s a good investment to tighten up your home. 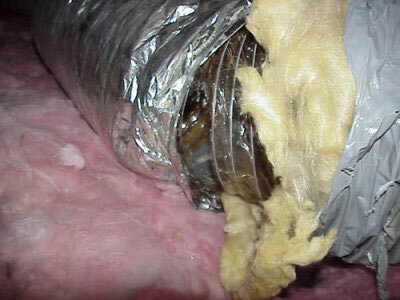 Sealing air leaks will enhance the performance of your insulation as well. What We Do: Smart Space will use diagnostic equipment to locate the air leaks in your home and seal them for you. During the home performance analysis, the homeowner will have the opportunity to see first hand the leaks with a smoke sticks while the blower door is running (see blower door for more information…). Description: Sealing and insulating your home is one of the most cost-effective ways to make a home more comfortable and energy efficient. Insulation products are rated by their resistance to heat flow, called R-value. The higher the number, the more effective the insulation and lower your energy bills. Most homes in the U.S. built before the 1970’s are poorly insulated, if at all. Modern energy codes require minimum levels of insulation. For example, for most attics the recommended R-value to effectively insulate is R-38 or 10 to 14 inches deep depending on insulation type. What We Do: Smart Space through the Home Performance Analysis will determine the levels and effectiveness of the insulation throughout your home. Based on your needs and budget, we will make recommendations for the amount and type of insulation and then install it for you. We add insulation to all areas of the envelope between heated and unheated areas. We are also careful to ensure that there is proper ventilation to ensure there are no moisture problems and that all fire hazards are mitigated around can lights etc. 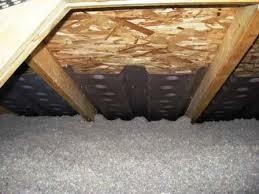 Below is a brief description of each type of insulation product we offer: Fiberglass Batt- The most common in homes. It is installed in open wall, floor, or ceiling cavities. We are careful to install it avoiding gaps, voids or compressions which will decrease it’s overall effectiveness. Fiberglass Loose fill- A blowing machine is used by our experienced contractors to blow in walls or on top of other types of installation to facilitate a effective and even cover. High Density Spray Foam-At first we embraced spray foam as a company because it is an excellent air barrier and insulator until a former customer asked if it was healthy to breathe once applied. I could not answer honestly, so I did some research and found that the EPA and CDC are concerned about two chemical components in spray foam causing asthma in some exposed workers and home owners. The EPA is calling for more research to be done. Until more research is done, we are no longer installing spray foam in homes. We are keeping an eye on soy based spray foams and will install this once the two chemicals that are causing health problems have been removed (currently they have not been removed).We also feel that your money is better spent air sealing the house thoroughly and blowing in dense packed insulation into your walls. Spray foam is costly and hard to remove if a problem arises and the money could be applied in other areas of the home to improve efficiency. LED light bulbs: Lighting accounts for close to 20 percent of the average home’s electric bill. LEDs use up to 75 percent less energy (electricity) than incandescent light bulbs and last up to 10 times longer. If every home in America replaced just one incandescent light bulb with an LED, in one year it would save enough energy to light more than 3 million homes. LEDs are more expensive then CFLs but last longer and are dimmable and if you buy 2700K (Kelvin) they closely match an incandescent light bulb. Kelvin is the light tone. 5000 Kelvin is the brightest. The LEDs must also match your dimmer switches or they might not function correctly (hum or not turn off). It is important to recycle CFLs to prevent the release of mercury into the environment. CFLs and other fluorescent bulbs often break when thrown into a dumpster, trash can or compactor, or when they end up in a landfill or incinerator they will leak small amounts of mercury. Description: Developed in 1999 by the Greater Atlanta Home Builders Association and Southface, EarthCraft is the Southeast’s standard for green building, pairing building science with regional know-how. The result? Exquisitely designed and renovated homes, buildings and communities. Without maintenance and renovation, no building lasts forever. The EarthCraft Renovation program allows homeowners to improve building performance, durability, operational efficiency and indoor air quality while they make structural changes to their home. EarthCraft Renovation is a great fit for existing homes, as well as additions. To achieve EarthCraft certification, a proposed renovation must meet program criteria via a third-party verification process. Similar to other EarthCraft programs, EarthCraft Renovation projects are evaluated using a points-based worksheet and diagnostic testing procedures. EarthCraft Technical Advisors facilitate the process, providing technical assistance to the builder throughout construction, including the initial assessment. What We Do: Smart Space will renovate your home for Earthcraft certification which will be attached to your title and add value, efficiency, and comfort to your home. Financing: Smart Space will offer 100% monthly financing for qualifying home owners with no down payments. More comfortable, healthy rooms with fewer drafts and hot/cold spots. The Individual Improvements Approach allows maximum flexibility to make specific qualified upgrades. Under the Individual If the “Whole-House” approach does not fit your needs, you can still take advantage of “Individual Improvements” where up to $700 in rebates are paid depending on the energy efficiency improvements made. Depending on the improvement type, installation may be performed by a homeowner, a non-BPI certified contractor and/or a BPI certified contractor. Once the Individual Improvements are successfully installed, the appropriate rebates up to $700 will be paid accordingly. Note: Certain preconditions and requirements must be met in order to qualify for the Georgia Power Home Energy Improvement Program rebates. Work performed by a Smart Space BPI certified contractor or homeowner depending in improvement type. Existing homes & new construction qualify. Both principal residences and second homes qualify. Rentals do not qualify. At least half of the energy generated by the “qualifying property” must come from the sun. The system must be certified by the Solar Rating and Certification Corporation (SRCC) or a comparable entity endorsed by the government of the state in which the property is installed. Note: The credit is not available for expenses for swimming pools or hot tubs. The water must be used in the dwelling. Photovoltaic systems must provide electricity for the residence, and must meet applicable fire and electrical code requirement. Tax Credit includes installation costs. All ENERGY STAR Qualified solar water heaters qualify for the tax credit. Photovoltaic systems must provide electricity for the residence, and must meet applicable fire and electrical code requirement. Indoor Air Quality Is Your Space Making You Sick?